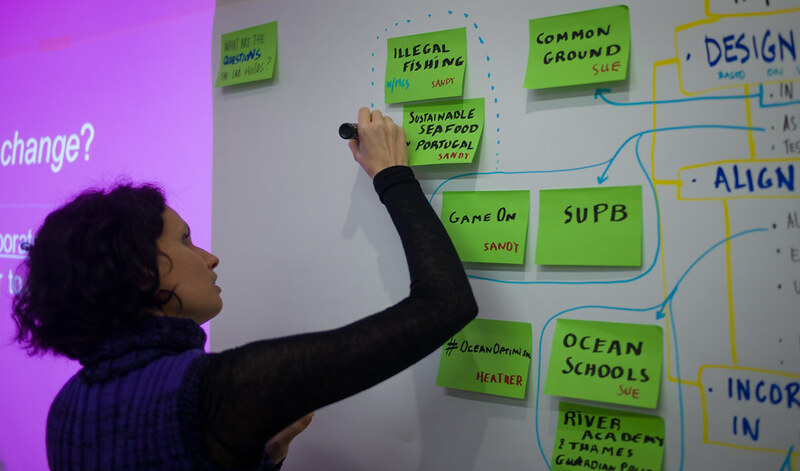 Marine CoLABoration is an example of using the lab approach to tackle the challenges around communicating the value of the ocean. In close collaboration with the Calouste Gulbenkian Foundation, FoAM (Maja Kuzmanovic, Vali Lalioti and Nik Gaffney) designed and facilitated a lab process during its incubation, supporting the group to collaborate, experiment and learn together to create change. This blogpost is a summary of a longer article, recently published on Medium and the Libarynth. The first year of Marine CoLABoration progressed in two phases: a scoping phase and a transitional phase. The initial phase developed a collective vision, encouraged engagement and initiated the first experiments. In the transitional phase the lab began incubating larger experiments while formulating long term objectives and operational models. Face-to-face collaboration during lab-sessions was complemented by continuous access to online discussion and documentation. The lab process was regularly evaluated and adapted where needed, encouraging the participants to gradually take "ownership" of the lab. By the end of the first year the group had become a closely knit team, working together on several values-based experiments (from reduction of plastic waste to testing new ways of engaging coastal communities). To foster emergence in the lab, all participants were engaged first and foremost as creative humans with a diversity of valuable skills, personalities and aspirations. Playful co-creation brought people together quicker than expert debates or presentations ever could. 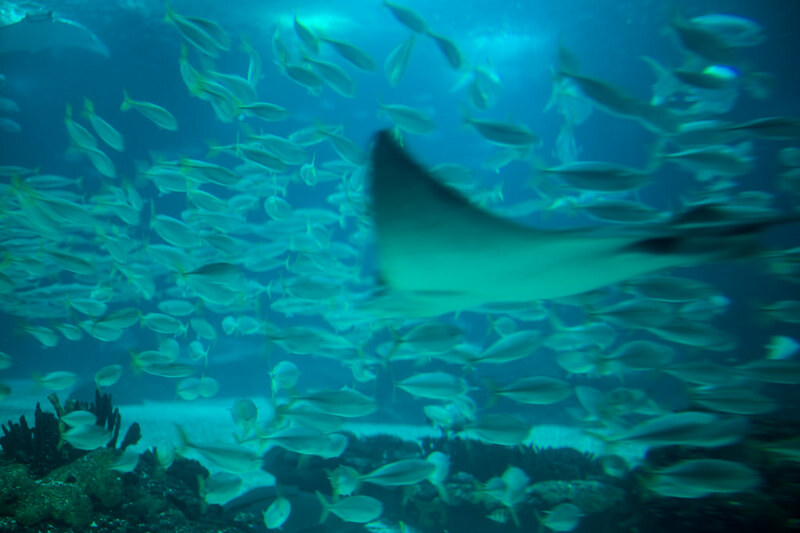 The first experiments developed in Marine CoLABoration emerged from joint speculation about the lab's purpose and possible futures while discussing challenges in the participants' current work. Collaborative teams formed as required and dissolved when unnecessary. The lab approach encouraged fluid movement of ideas, inspiration and people.The direction of the lab has emerged from the work done in the lab. A lab approach centers around experiments conducted in response to challenges in the real world. The experiments evolve through iterative prototyping cycles, working towards effective systemic outcomes while avoiding catastrophic failures. In Marine CoLABoration it wasn't always straightforward to design agile experiments for the monumental challenges of ocean protection. Over the course of the first year, some experiments were abandoned while others became multi-year projects with year long experimental cycles. The experiment of designing sustainable governance and long terms strategy for the lab itself was just beginning. Several experiments existed simultaneously at different scales and of varying duration. The experiments overlap, complement and confront each other, thereby increasing the lab's diversity and resilience. As the lab matures, it becomes an embodiment of the community's values and principles. With Marine CoLABoration this process is well underway. 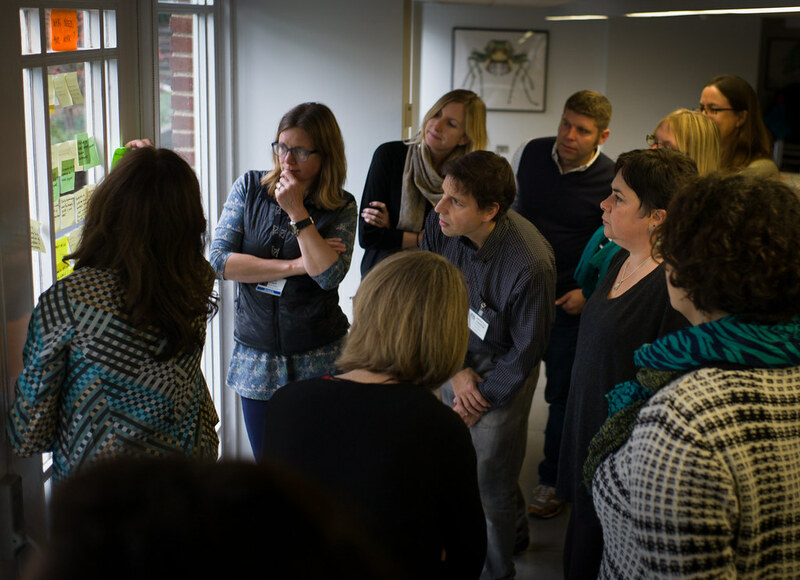 As the participants noted, their involvement isn't just about “doing” experiments in a lab, but also about “being” part of a community. The increased interest and involvement from the organisations and their networks ensure the initiative's longevity. One of the critical tests for Marine CoLABoration in its near future is to prove its relevance and extend it's involvement with a wider group of stakeholders. If the lab culture can be taken up, reproduced and adapted across different contexts, it can inspire and engage a growing number of people, leading towards widespread systemic change. Ocean protection is in urgent need of bold alternatives. The lab approach enables prototyping alternatives as experiments . Experiments whose scope, scale and effectiveness can increase with every iterative cycle. The lab approach provides a way to connect people to connect to the ocean and inspire hope, even in places where optimism is in short supply.